The Suzuki DR-Z250 has been around for over a decade (2002) essentially unchanged. There are clearly very good commercial reasons why and you can probably guess what they are. Cue 2015 and the competition have updated their models in the 250cc dual purpose class specifically the Honda CRF series and Yamaha WR series. As a result the DR-Z250 along with the Kwasaki KLX250 are now the oldest models in the class. Like others in the dual-purpose class the DR-Z250 is a compromise for on and off road riding. So it features high ground clearance, light weight, plank like seats and no wind protection means good short commuting qualities but long distance touring is for people who are reasonably healthy. The ‘feature’ of the Suzuki DR-z250 is that it’s air cooled and equipped with a kick starter hence easy to maintain by being inherently less complex than the others with water based systems and of course theoretically tougher. Still interested – some other things you may want to consider before getting the DR-Z250: An updated or all new DR-Z250 model is due any time since the competition have already been refreshed. Aside from that you need reasonably long legs due to seat height. Like all trail bikes it has a small fuel tank and if parking in insecure locations – theft due to desirability. Any off road capable model is high in demand on the off road scene legal or otherwise since there are next to no police presence in the bush. 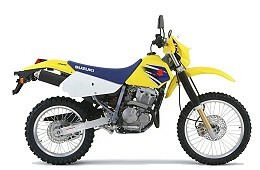 In the end the Suzuki DR-Z250 is like the Kawasaki KLX250 and both are probably good what what they do in isolation. However 2015, the DR-Z250 biggest problem is price. It’s $800 RRP more than the CRF250 which is a big issue the last time I asked. It is in the WTF territory as the Kawasaki KLX but there’s no compelling reason why anyone should buy a new motorcycle without EFI. 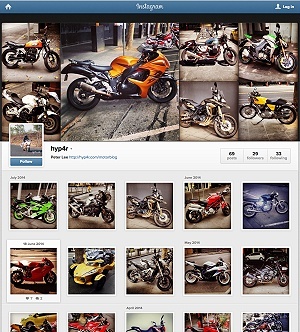 EFI is like the introduction of electric starters for these sort of motorcycles. For commuters and learners wanting a new dual purpose motorcycle the Suzuki DR-Z250 is better than the Kawasaki KLX250 but not as good as the Honda or Yamaha alternatives.